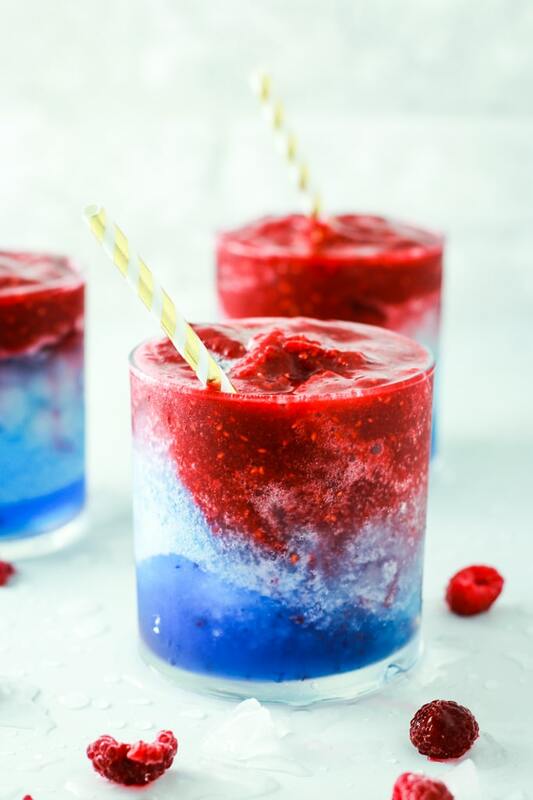 This frozen sangria recipe is layered with red, white, and blue – all naturally colored – for a patriotic summer flair. It’s perfect for summer parties – especially Fourth of July or Memorial Day! Layered frozen sangria. We’re going there today, summer lovers. We’re packing our bags, jumping in the station wagon and going to happy frozen wine town. And we’re staying there all summer long. 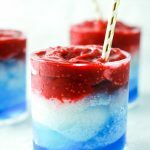 ☀️☀️☀️ Whether you’re celebrating the 4th of July or Memorial Day or Veteran’s Day or just simply another fiiiiiiine Saturday, this frozen sangria is exactly what you need for summer. Wait, is it summer yet? Oops. Don’t care. Sangria is one of my favorite drinks. Which explains why this isn’t the first sangria I’ve posted here. Or the second. Heck, it’s not even the third. I love this stuff. This sangria is different though. You see, I’ve been thinking about making a frozen sangria recipe since last summer, but I’m a recovering procrastinator and I never figured out quite how I wanted to do it. 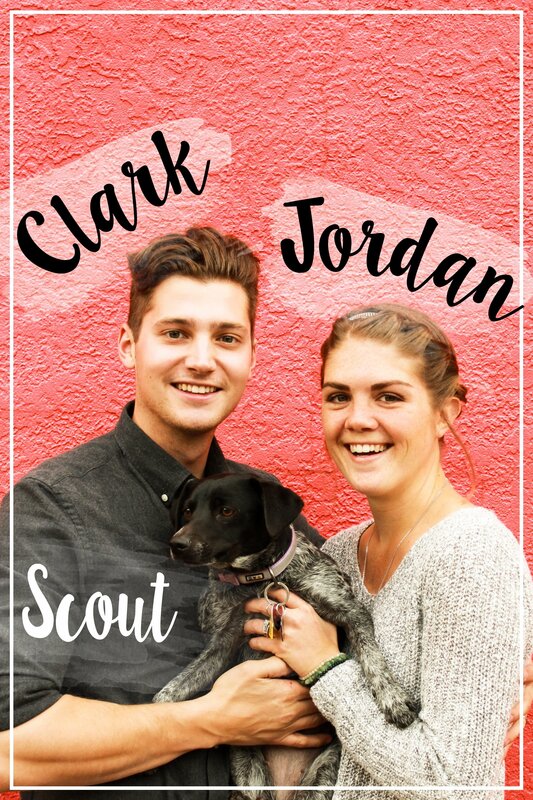 My friend Lauren recently made wine slushies for her blog and kicked me into gear. So in a roundabout way, you can thank miss Lauren for these magical boozy concoctions. When I first had the idea for this sangria, I thought it was going to be a lot more difficult to layer the flavors and colors. Hence the procrastination. BUT – as it turns out, it’s not hard at all! As long as you’re not a perfectionist. You just blend each of the flavors separately then pour them in mason jars and pop them into the freezer while you make the other flavors. Once all of the flavors are ready, pour them gently into the glass of your choice, stick a straw in, and enjoy! Just, don’t enjoy too fast because adult brain freezes are a real thing.  I speak from experience. That’s a wrap! We just finished making this recipe and taking pictures, so I’m enjoying a glass as we speak. And meanwhile, Clark has been getting dinner ready to throw on the grill. We scored a big gas grill off the Craigslist for 25 bucks yesterday so if you need me, I’ll be sitting beside it, watching him grill, sangria in hand all summer long. Make this sangria and impress the heck out of your friends. Or, make this sangria and enjoy it all to yourself. Whatever you do, just make it and tell me about it!  Tag #thefitchen on Instagram because I wanna show off your creation! 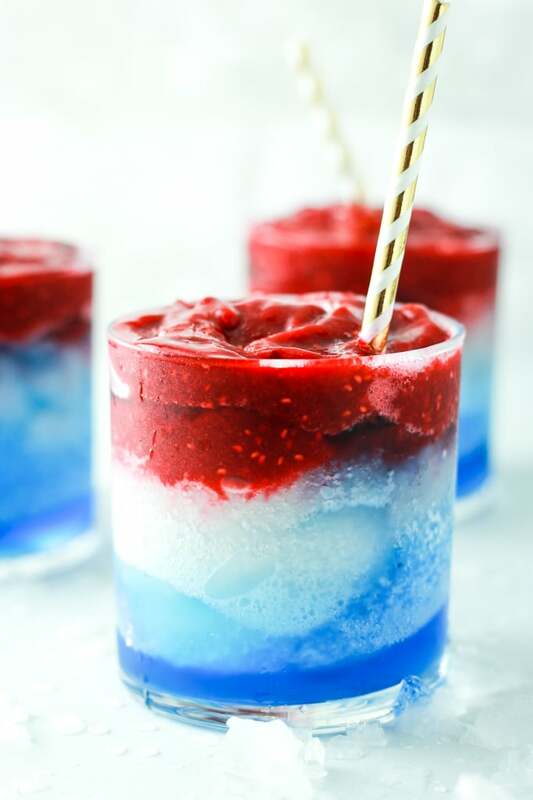 This frozen sangria recipe is layered with red, white, and blue for a patriotic summer flair. 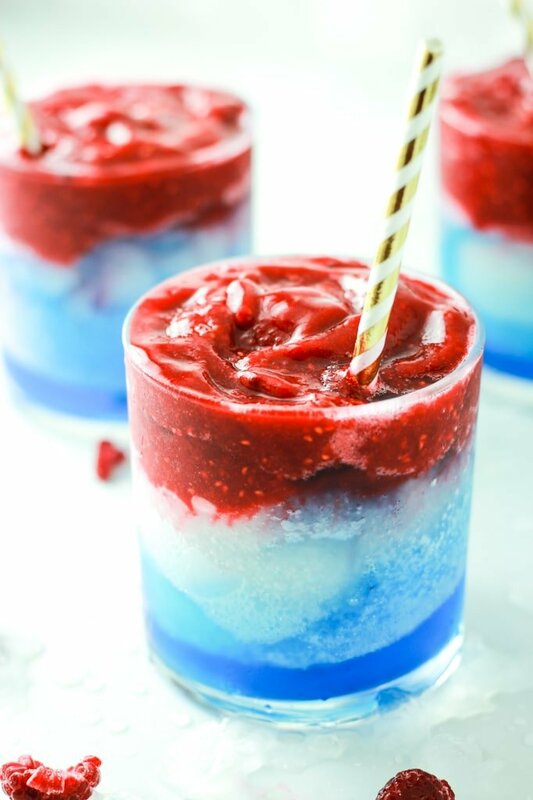 Perfect for summer – Fourth of July or Memorial Day! It’s easiest to blend this layer first because it stays thick. Add ingredients to the blender and blend until smooth. Pour into a large cup or jar and place into the freezer while you create the other layers. Repeat the steps and set aside in the freezer. It’s best to save this layer for last because it’s going into the glasses first. What a great recipe, and so easy to execute. I used rum for the blue layer, and it was delicious. Yay! I’m so glad you enjoyed it! I know the layers seem tedious, but it’s such a fun cocktail. For the natural blue color it says see note. I don’t see anything about making that. Help! Eeeek! So sorry about that, Lynn. I switched my recipe program and the note got kicked out somehow. I’ve added a link to the natural blue food coloring that we used to achieve that bright blue color. We ordered it from amazon! Love these for the 4th!! Great drink recipe. Beautiful cocktail! And it sounds so delicious! Nothing like a good frosty cocktail in the summer! Especially a sangria cocktail! This is just so absolutely stunning. A restaurant could charge double digits for this amazing drink! I love that you used white wine and gin (pretty much the only two alcohols I’ll drink these days). On the blue, I don’t know if it would yield as brilliant of a hue, but I was just reading about blue matcha powder. They use it to make drinks. I love sangria and I never would have thought to make frozen sangria. This is such a great idea and can’t wait to try it, once it actually gets warm in NYC! This is the most gorgeous sangria I’ve ever laid eyes on. Can’t wait for 4th of July now!